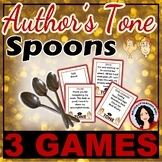 Also included in: ELA Game Bundle - Literary Elements + Persuasion + Poetic Devices + More! 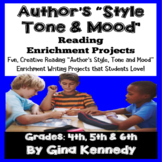 Also included in: Reading Projects, Enrichment for the Entire Year! BUNDLE! 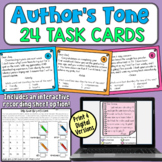 This is a one page resourse sheet for students on author's tone. 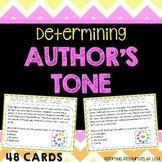 It includes positive, neutral, and negative words that convey author's tone. 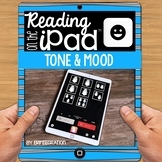 Great for a mini lesson on tone! 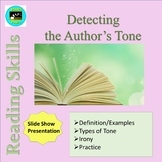 This Smartboard slide show introduces students to determining the author's tone. 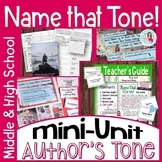 Students will use realistic examples as guided practice for figuring out the author's tone. This was free for the first two days! Follow me to learn about these deals! Eight people took advantage of the freebie! 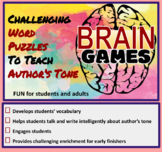 This contains a classroom poster each for author's tone and mood. 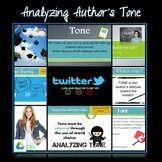 Common author's tone words are defined. 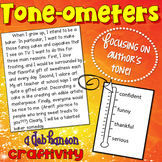 There is a short writing sample that demonstrates that tone. Each writing sample is related to the topic of the circus. There is space provided for students to write their own sample related to school. 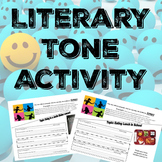 Common words found on standardized tests to describe Author's Tone.